It has taken me so long to figure out how I wanted to cover this trip in this post. This trip was so magnificent that I almost can’t put it into words. 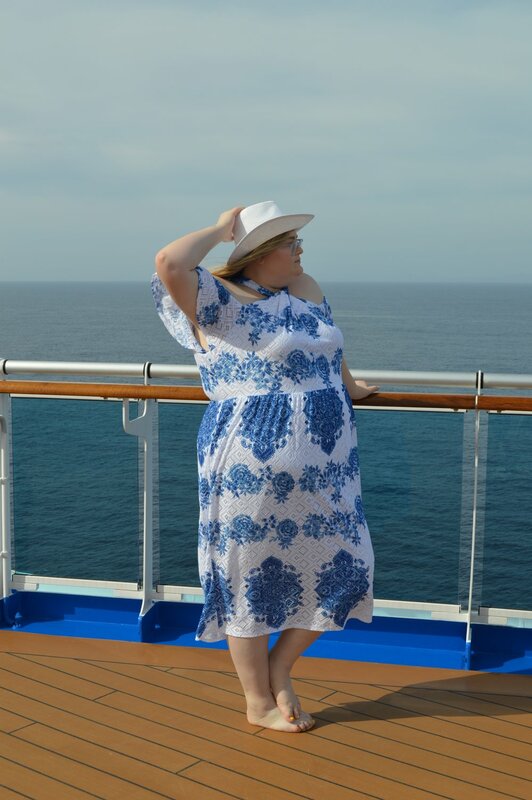 I didn’t know if I wanted to detail just the experiences on land, or if I wanted to talk about how amazing the Majestic Princess was. I decided that this ship could not be overlooked. So if you don’t care about the ship, after I’m done talking about Sydney feel free to click away from this post. Stepping off of our amazing flight on Air New Zealand, non-stop from LAX to Auckland, the views were instantaneously gorgeous. My breath was taken away by how green it was and how clear the skies were. We were in Auckland for two days before boarding our ship. 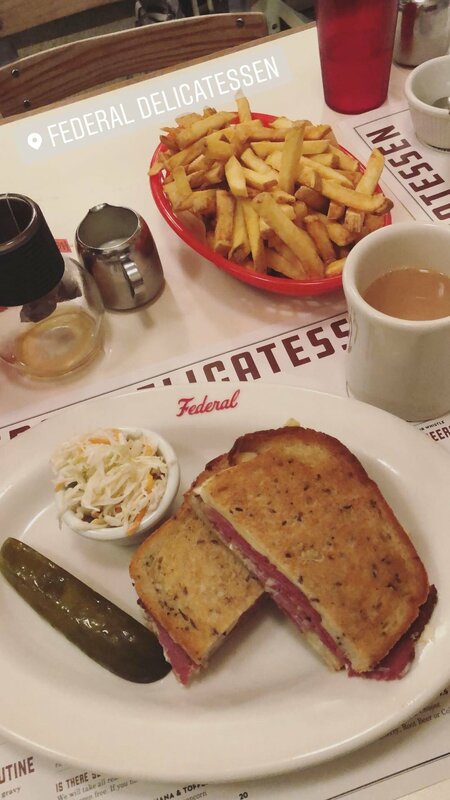 Our first stop after the airport and our hotel was to get food, and following the advice of a few new friends and a Google search for deli (I watched so many hours of The Marvelous Mrs. Maisel on the plane) we went to the Federal Delicatessen located just beneath the Sky Tower. After brunch we spent some time exploring the market set up at the tower, following that we walked down to the waterfront and explored the area. Finishing off our night we stopped into a convenience store and bought some potato chip and dark chocolate Tim Tams for the hotel. Due to massive jet lag we woke up at six in the morning and relaxed in the room before heading down to the restaurant in the hotel for breakfast. After breakfast we headed straight to the Sky Tower to hop on the Auckland Explorer Bus. We took the bus out to Bastion Point to take in the amazing views, and to take some Instagram pictures. Back on the bus we rode around the rest of the city taking in the views from the hop on hop off bus. Around lunch time we hoped off in Parnell to look at the cute shopping area, and for a “cali” smoothie. After walking around Parnell and eventually finding a Starbucks we headed back to the hotel to freshen up for dinner. For dinner we went to a great restaurant and bar, Orleans, to meet up with some friends. Following the AMAZING meal we had, we took in the slightly cooler temperatures and walked back to our hotel for the night. The next morning we woke up and headed to the Sky Tower to find a place to eat, we stopped at Velvet Burger, where they make the burger patties with beets, and had one of the best burgers of my life. After lunch we headed back to the hotel to check out and make our way to the cruise terminal. Our Hotel, The Rydges Auckland, was so central to the port and Sky Tower making it the perfect location for our visit. This hotel was one of the best I have stayed in, the staff was so nice and helpful, the food was fantastic, the shower was pure perfection, and the whole hotel was so clean. For a tour of our room check out my Instagram memory for travel. Tauranga was such a beautiful sea side town, with tons of cute shops and coffee shops. We opted to not get a tour here, instead we spent our free time walking along the beach and then went into town to get some much needed iced tea. We stopped into a cute cafe, Hideaway Cage, where we met a fellow American working there. We started talking and had such a great conversation that made me realize how nice it is to still have genuine human interaction. Following our stop we did a little souvenir shopping before heading back to the ship. 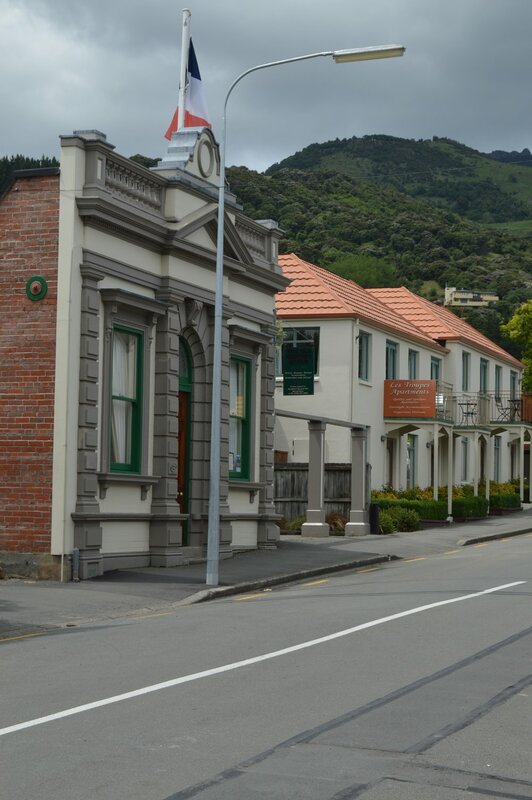 In Akaroa we booked a tour from the booth they have in the ports in New Zealand. 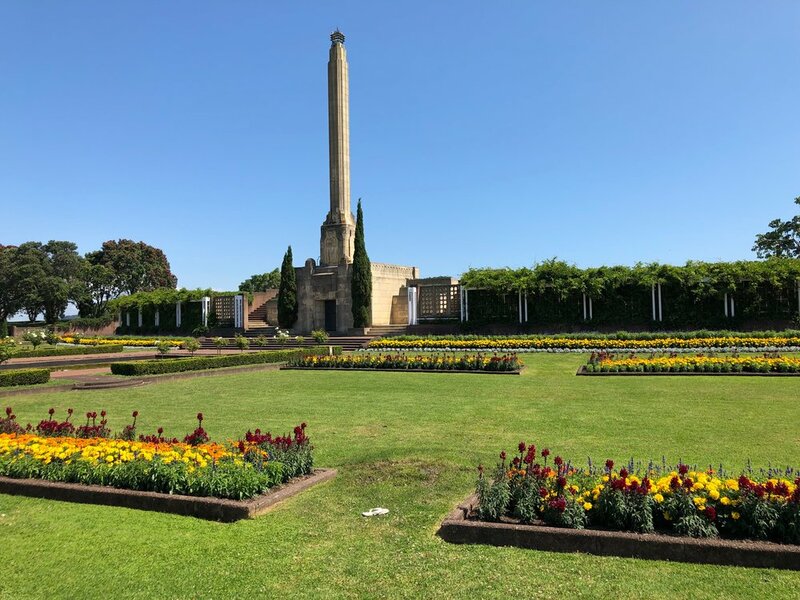 The biggest tip I can give you from this trip is that in New Zealand finding a tour company on the pier is safe and a great alternative to the ships excursions, mostly because it is so much cheaper. For a very similar tour to that of one we would have taken from the cruise my mom and I got a trip from the shore for half the price. 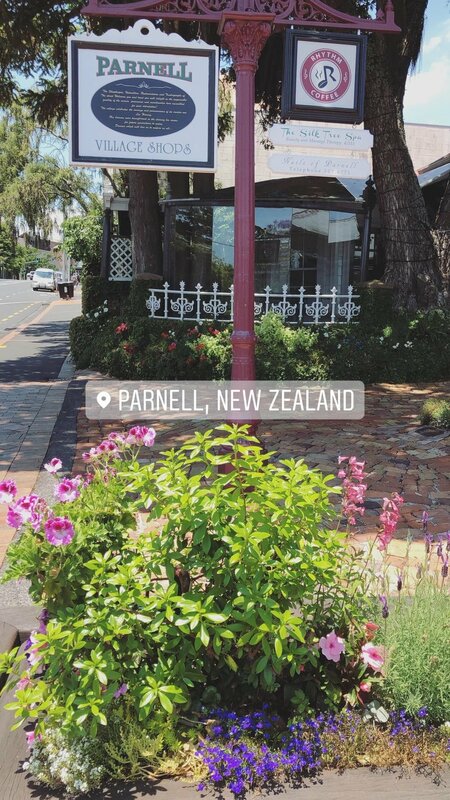 Akaroa is the cutest sea side town I have ever been to, most of the houses in the area are summer vacation homes and the town has really blossomed due to the tourism. Our first stop of the day was wandering around the cutest little town taking in the shops and fish n chips restaurants. After a short walk around the town we met up with our tour guide to take a ride up into the hills. We stopped at a ton of over looks to see the magnificent views and then at Hilltop Tavern to take in a view and some beverages and pasties. Following this stop we made our way to Barrys Bay cheese factory, for a small tasting and a behind the scenes look at how they make their cheese. We then made our way back to the ship taking in the beautiful views. 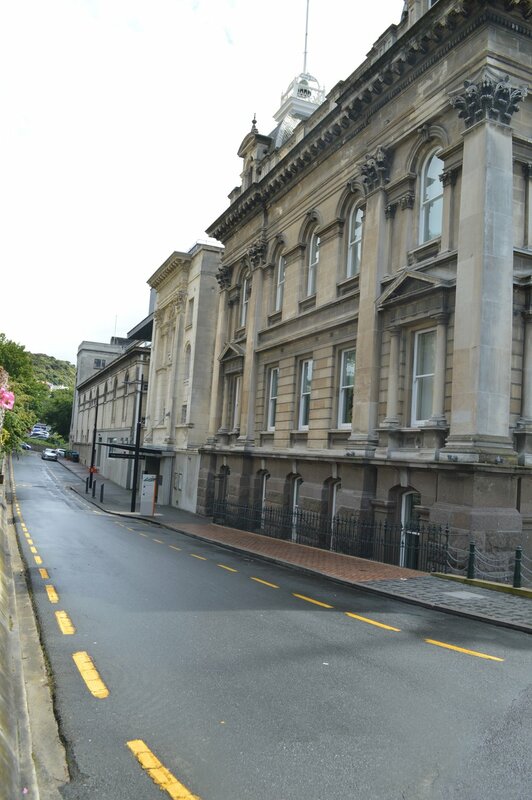 In Dunedin, like in Akaroa, we picked up a tour at the port. 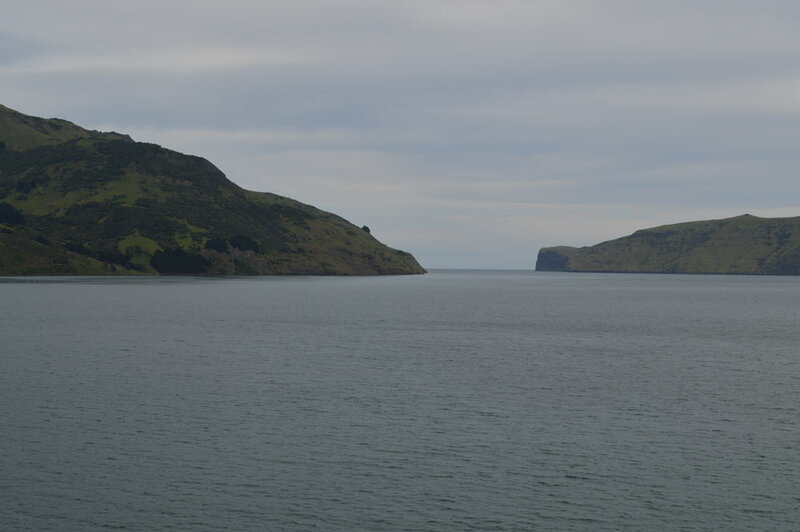 We started our tour taking the scenic drive from Port Chalmers into Dunedin. Once within the city we headed to the train station to see the beautiful Scottish architecture, and while we were there we hopped on the sitting train to take some Instagram pictures. Following that stop we headed on a whole bus tour of the city, with beautiful lookouts and a stop at the steepest street in the world. If you hike to the top, you get a certificate, I didn’t hike to the top someone else on our tour did. After more scenic driving we ended up in the town center taking in the gorgeous town, which is modeled after another beautiful city Edinburgh. We walked and shopped, then got soaked in the rain. This city not only is modeled after Scotland it has similar weather. The city was simply mesmerizing and I would 100% recommend visiting here if you make your way to New Zealand. When I say that the Fiordland is the most beautiful place I have ever seen in my life, I am not joking. We started sailing early in the morning and finished up in the afternoon. It was freezing, but I spent every second on our balcony taking in the views and taking tons of pictures. If you take a cruise they spend the day going in and out of different fiords, the most famous being Milford Sound. I wish I could say more about the fiords, or say that these pictures do it justice… but they don’t. The Fiordland should be a bucket location for everyone to see. The most exciting part of this whole trip was getting to go to the Bonorong Wildlife Sanctuary in Tasmania. While we were there we got to feed and hang out with Kangaroos and their joeys, we got to take a picture with a koala (you are not supposed to touch them because they can give humans chlamydia), and seeing the rest of the super cute animals that these amazing people rescue. The number one thing I learned from this experience is that Tasmanian Devils do not look anything like what they do in cartoons. If you do want to see the magnificent wild life in Australia and New Zealand please make sure you are doing so in a safe and ethical manner. 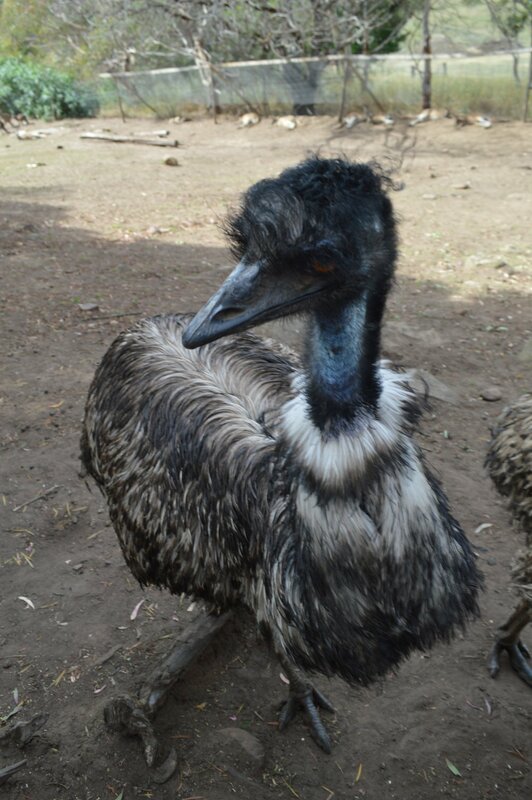 At Bonorong they are focused on protecting and rescuing animals and releasing them back into the wild. Sadly this is the only picture that I got in Melbourne. The day that we were in Melbourne I had gotten really sick and had to cancel our original plans for the day. We had originally planned on going to Hosier Lane to see the street art and do a photo-shoot. Sadly due to feeling sick, we just took the bus into the city and walked around for a couple hours before heading back to the ship. Perhaps this was due to feeling so sick and being so hot, I couldn’t stop sweating, but I felt that this city wasn’t all that different from San Fransisco. Waking up on our first day in Sydney I opened the curtains to our state room and saw the most spectacular view of the Sydney Opera House, that was the moment I knew that Sydney was going to be good to us. After breakfast and some photos in front of the Harbor Bridge it was time to disembark. Following disembarkation and waiting on the pier for over an hour, we made our way to our hotel and dropped off our stuff before making our way to the Queen Victoria Building to meet up with my friend Sabrina. After we met up we took a walking tour from there down to Circular Quay. Once at the Quay we took one of the ferries out on to the harbor. I would suggest this as an alternative to an expensive harbor cruise, this cost us about $2 and the views were so amazing. After this we headed to The Opera Bar for some much needed water and food. After a great meal we stopped for some gelato and sat on “the rocks” and watched as the cruise ship we came on leave with a new set of people. The next day we took off on an adventure ourselves, taking the metro down to Circular Quay; we walked around and went to souvenir shops. Then we went to the food court, Gateway, to get some yummy lunch. After sitting and enjoying for a while, Circular Quay was getting so packed for the fireworks (for New Year’s) so we decided to walk through the Royal Botanic Gardens then passed the Parliament Building, then ending at the Archibald Fountain. Following that we headed back to the hotel where we stopped to grab some dinner to eat in the hotel, we got take away from two restaurants. Once we ate, showered, and packed we spent the night watching the early fireworks on TV and falling asleep. So let’s talk about the magical Majestic Princess. Every night guests get a Princess Patter in their little mailbox. The Patter outlines everything that is going on the following day. It is such a great way to keep track of what you want to do in a day and how to plan the day. From the Patter I found the things that I wanted to do, including; trivia (two times a day), game shows, comedians, movies under the stars, and production shows. Through out the cruise I got into a bit of a routine, as I would if I was at home. I went to trivia twice a day, got tea every night, and talked to my room steward in the hall every night before dinner. All of these things made for such a great experience, and getting to know the crew on board really makes the trip so much better. Our room steward was from the Philippines and his daughter was about to graduate from college, the barista we saw twice a day was from Ukraine and the one day I didn’t show up he told my mom he missed my smile, and our cruise director Andrew was the absolute best! 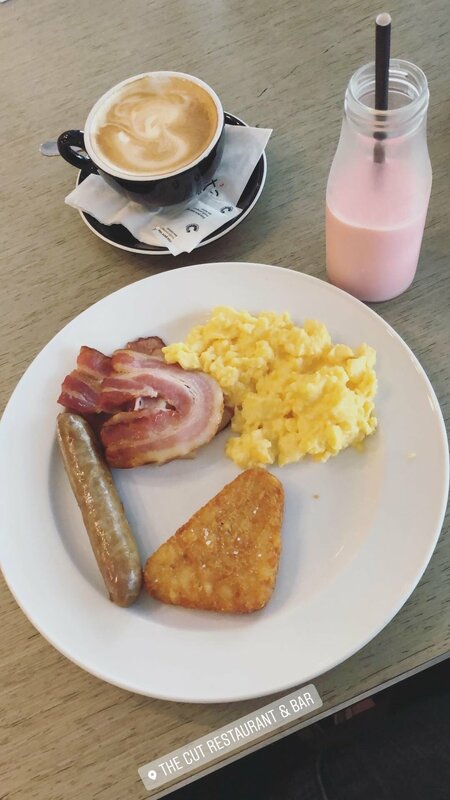 Now let’s talk about food and drinks! 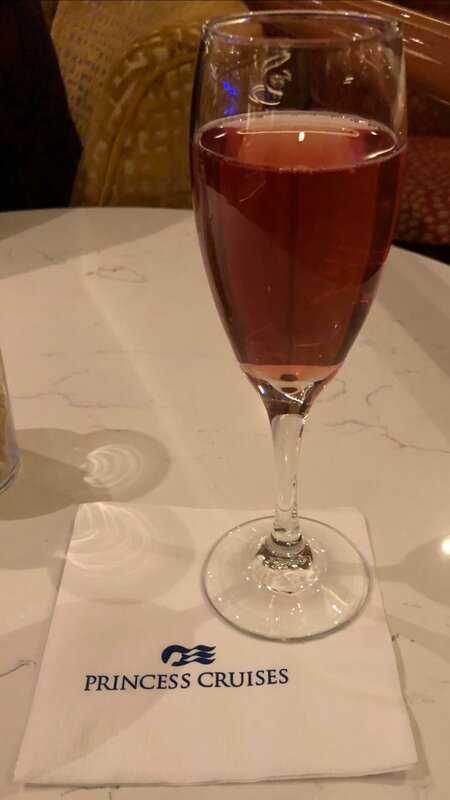 There are so many options on this ship, my mom’s favorite was going to the noodle bar, but my favorite was the tea bar and Bellinis the champagne bar. The dining room, if you’re willing to dress up a bit at night, is great for dinner, and has a menu that changes nightly. The buffet also has so many different cuisines every single day. The last experience I have to talk about is the spa. This is the second cruise that I have been on that I went to the lotus spa. This time I got a pedicure, and it was the best one I have ever had. If you want a little bit of a relaxing break, check out the lotus spa on Princess ships because it is worth it. I am so fortunate to have been able to make my way to Australia and New Zealand, I hope to make it back some day. I wanted to say a big thank you to my friend Sabrina for showing us around Sydney. I would also like to thank my mom and grandparents for making my dreams come true by getting to see this part of the world. After this blog post, all future travel blogs will have an accompanying video. They will have the same content and structure as they do now, but will have a video of the trip embedded at the bottom of every post. Thank you for reading, look out for a new blog post every Friday from now until December!